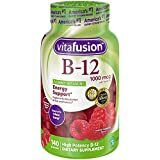 If you need B12 because the body does not absorb it well or directly because you have a vegetarian diet and you need this vitamin to have good health, here is a list of the best products that include vitamin B12. Let’s go there: In Spain, finding the supplement of 1000 or 2000mcg is often not easy, the ones that usually have in pill pharmacies are much lower doses because they are designed for other situations, not for a vegetarian. We also have the typical Optovite ampoules that. yuck, they are very bad, although it is not unusual for them to know badly, in fact, they are injectables designed for gastrectomized patients that could be given orally because at a pharmacological dose the absorption is the same (references in the links). The good news is that they are in any pharmacy and enter for social security, although the doctor has to want to prescribe them and is not likely to do so unless we have a deficit and it will be for a short time, not forever. It is usual that we have to resort to specialized stores or herbalists or similar if what we want are pills or tablets in an adequate format for weekly supplementation. The three easiest brands to obtain in Spain, in addition to Optovite, which have a cyanocobalamin supplement in tablets of at least 1000mcg are Solgar, Lamberts, and Solaray. Also, Health Aid, which I had forgotten and Ana reminded me of. How good we feel when our body is full of energy and we lead a healthier life, right? We all have different routines where there are days we should give more. Let nothing stop you! Know the 8 best supplements and vitamins that will help you to have a better metabolism and a more energetic body. 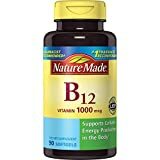 The truth is that the most economical is to place an order online, for example on the website Iherb.com we can buy B12 from Source Naturals, Now Foods, Carlson, Natures Bounty, Life Extension, Rexall Sundown, Nature’s Way . .. There are a lot, I have chosen options of only B12 (not vitamin complexes) and cyanocobalamin. We are going to do a little review on the key points when choosing an adequate B12 supplement. Remembering that we are looking for a supplement and a dose for healthy adults without deficits, who want to stay. If you have a diagnosed deficit or have been a vegetarian for a while without supplementing, consult a professional beforehand. You may need to take larger doses for some time. It is the most studied form as a supplement and we know the dose to recommend. It has no toxic dose. It is very stable to heat, light, and pH, which is important so that a supplement that we store for a long time does not lose effectiveness. It is the most economical, basic form in a supplement that should be taken long-term or even for life. 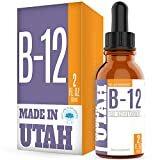 Other forms of B12, such as methylcobalamin, should not be used without professional supervision since we do not know the necessary doses (we know they should be much higher than those of cyanocobalamin), nor are we fully clear about their metabolism or effectiveness in filling the liver reserve. Methylcobalamin is used in some severe cases of deficiency with symptoms, or in smokers (combined with cyano), or in people with some liver or kidney disease. If this is your case, consult a specialized dietitian-nutritionist who can advise you. 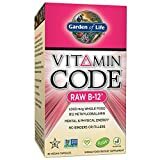 We must ensure that the supplement has a sufficient amount of vitamin B12 because many of those that are on sale in our country offer doses that do not meet the needs of a vegetarian person. The preferred dose is the weekly one since it is the one with the highest safety of absorption because it does not depend on intrinsic factor (this is the name of a protein secreted in the stomach that helps absorb vitamin B12 in the intestine). In that case, we will choose a supplement containing 2000 mcg to take once a week. We can also take 1000 mcg twice a week. If we are going to opt for daily supplementation- remember that, in addition to being more uncomfortable and more expensive, its absorption depends on more factors and is easier to suffer-we will choose a supplement that contains between 25 and 100 mcg. It is a dose much higher than the RDI (Recommended Daily Intake, which is 4 mcg per day according to the European Food Safety Authority), because the absorption of B12 is indirectly proportional to the size of the dose (the more doses, the lower the percentage of absorption, so doses are not proportional when going from daily to weekly). And the IDR is designed to be consumed several times a day, not a single one. We could look at the IDR if we were to take fortified foods several times a day, but it does not seem very practical or highly recommended, given that in our country, fortified foods are not very suitable for daily consumption (cereals and vegetable drinks, often sugary). The oral route will be the preferred one. Although it is still common to recommend injected B12, today we know that pharmacological doses (above 1000 mcg) have the same effectiveness as injections, even in gastrectomized patients, because as we said, they directly diffuse the intestinal wall without the need for intrinsic factor. In very few cases it will be necessary to use injections. By the way, the b12 ampoules that are sold as injectables can be drunk. Although it is often heard, it is not necessary for B12 to be accompanied by other vitamins of group B. Of course, it is interesting in some pathologies, but in the case of a healthy vegetarian, in maintenance, the rest of vitamins of the group B are already contributed by the diet and the weekly megadoses does not need to be accompanied by anything else (if it has any, nothing happens, but it is not necessary).